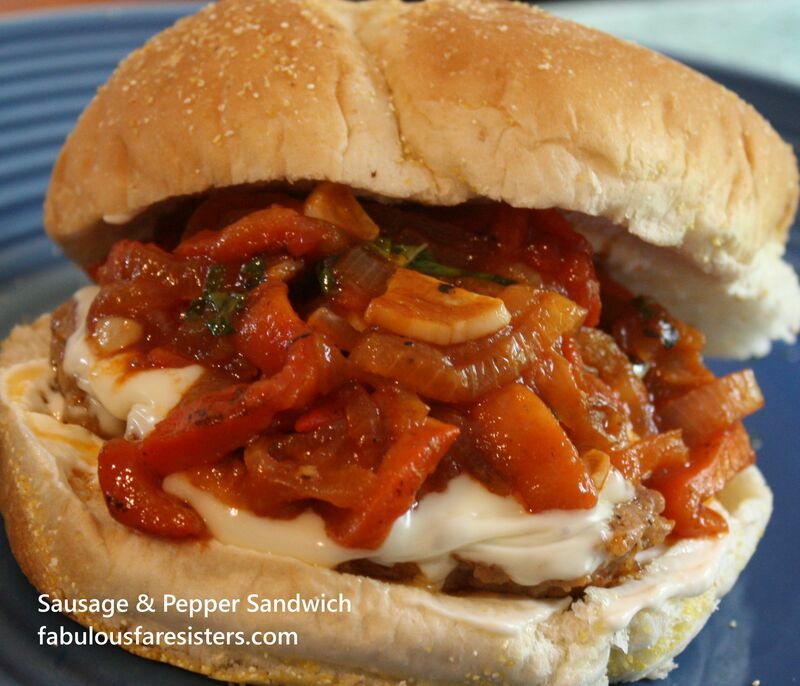 There is just something so satisfying about a sausage and pepper sandwich. It’s something you get at a fair or have at a picnic. Well today I was in the mood for just that kind of sandwich. I decided to make it more like a burger and it worked really well… a little less cumbersome to eat too. Remove sausage from casing and form into a patty. Slice roasted red pepper into strips and saute together with onion and garlic. Add vinegar and celery salt. Saute till onions are tender. Remove from heat and add basil. Season the sausage patties with Lawry’s seasoning salt and cook through. Use cheese if you desire and serve on a bun topped with vinegar peppers. Thank you Amber. I love sharing good food.